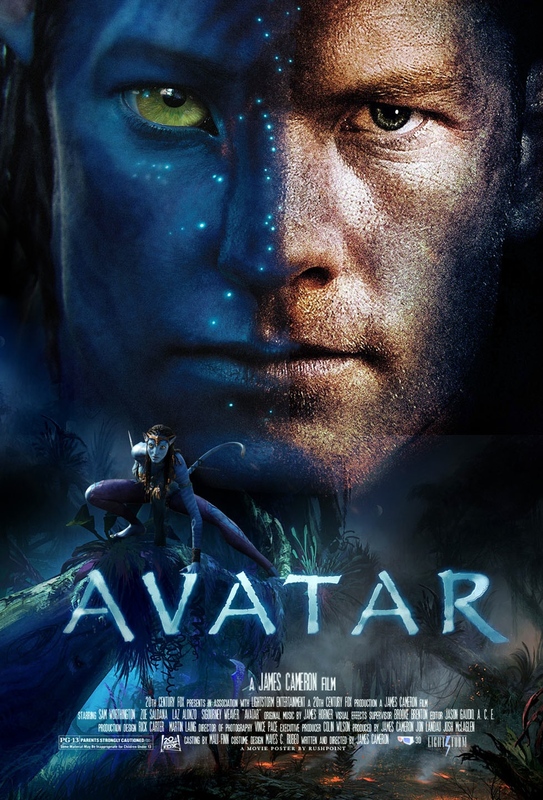 “Avatar”- A Christian reflection on the film | J.W. Wartick -"Always Have a Reason"
I’ll admit it up front: I love the movie “Avatar.” I know that admission will immediately garner scoffers and the like, but I’d like to take this opportunity to look over some of the themes in the film to show why I like it so much. There will be SPOILERS in what follows. 1) The disabled- Jake Sully is wheelchair-bound, and this leads to some overt thematic elements related to this. Other characters make offhand remarks over his state. “That’s just wrong”–presumably referring to sending someone with such a disability to Pandora; Jake refuses help from others and relies on his military background to keep himself motivated to do whatever anyone else can. In the extended edition of the film, Jake is also bodily thrown out of a bar early on, which highlights his feelings of injustice and helplessness, while also showing compassion demonstrated by his character. Jake’s veteran benefits can’t pay for a “new set” of legs, so he looks to Pandora for a fresh start. From these portrayals, one may draw two primary areas of discussion. First, the ultimate solution to Jake’s status is transcendence into the Avatar body. His state is ultimately not one he can overcome himself but one which is ultimately reliant upon others–even deity (see next section). Second, there is some concern here for those with disabilities: we should neither treat them as deficient nor should we ignore the possibility of increasing the well-being of those in such situations. 2) The Environment- Some may not consider notions of concern for the environment a “social justice” issue. However, it should be clear that impact upon an environment definitely brings about societal change. If a group lives in a jungle, razing that jungle to the ground will have profound impact on that people group. Although the portrayal in the film is very straightforward (perhaps even simplistic), the concern for how destruction of an environment can lead to societal ills is certainly portrayed. In the Bible, we are given the command to care for creation. This should translate into a concern for societal well-being as well. One aspect of the film I have heard other Christians complain about is that the religion of the Na’vi is pantheistic. However, it seems clear that Eywa is no friend to pantheism. Indeed, this “goddess” is far from the pantheistic all-in-all. Rather, it turns out in the climactic battle near the film’s end that Eywa “had heard” Jake’s prayer and in fact answers in rather extraordinary fashion. Eywa (again, interestingly similar to the name of the LORD in Hebrew) turns out to be not so much a pantheistic, monistic One as a theistic deity capable of activity within the natural realm. Thus, the ultimate reality of the film is that there is such a thing as deity interfacing with the prayers of persons and with power to answer them. This is not to say the film is entirely friendly to Christian theism. For example, one line Jake Sully says to Eywa is that the inhabitants of Earth “killed their Earth-Mother.” Surely this is not an affirmation of theistic faith but rather hints at a kind of pantheon of deities for each planet! Well, not so fast: Jake says this before he even knows that Eywa is truly a deity capable of activity on the planet. He is trying to describe the situation in his doubt, and his prayer is that of a skeptic trying to make sure he’s covered all his bases. The answer of the extent of Eywa’s rule over Pandora (or beyond?) is left unanswered. Again, I am not trying to suggest that Eywa should be identified with Christian theism. Rather, within the context of the film, it is clear that a deity exists and acts within the “real world.” I think it must be admitted that this is a far cry from the outlook of many films which are either anti-theistic or generally ignore the question of deity altogether. “Avatar” is a film that’s worth talking about for more than its beauty. Although many mock it for its emulation of some story tropes (Pocahontas in space! ), there are more thoughtful elements in the film worth discussing. In particular, the question of divine activity is poignantly brought to the forefront. Moreover, the themes of social justice brought forward call into question our own assumptions about what is the best way to address various needs and issues. What I’ve written here is only the beginning of possible discussions. A whole slew of topics remained untouched (what of mind/body connections and the use of the Avatars themselves? ; what of the use of mercenaries? ; what kind of criminal justice system could one have in a corporate run entity like this? ; etc. ), so I’d love to read your own thoughts on the film. Escaping to Pandora– J. Warner Wallace notes other issues of apologetic importance of the movie “Avatar.” He specifically focuses on the real hope in heaven and the transcendent. Also see my other looks into movies (scroll down for more). « Sunday Quote!- Genesis 1-11 is Fiction? Neither can I. I hope it won’t be awful. I read somewhere it might feature a lot of activity around the oceans of Pandora, which should be interesting. I read the same as well and I have the same hope. On another note, since I haven’t watched the movie, are the villains Marines or mercenaries?